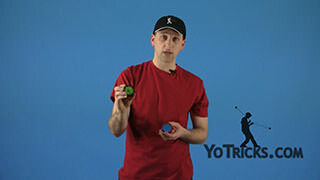 April Fools Buyer’s Guide Yoyo TrickThis is the 2016 yoyo buyer’s guide for yoyotricks.com and in this video, as always, we want to recommend to you the best yoyo that we can make available right now. 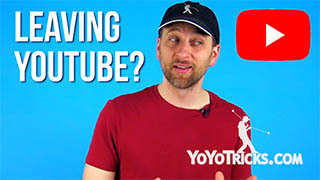 Now, I already told you before that we were going to do separate lists for 1A, and then we were going to do another list for 2A-5A, but after we kind of went through a new process for making this video we decided to just combine both videos into one, and I think that you will understand why. 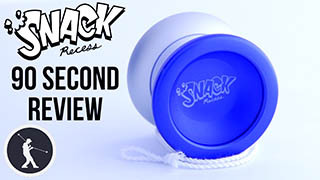 What we did for this video is all of us decided to kind of go off on our own and try every yoyo in the market that we could get our hands on. 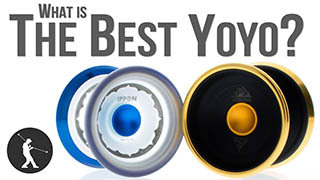 Each of us made a list of our favorite yoyo and then runners up for each style, 1A, 2A, and so on. 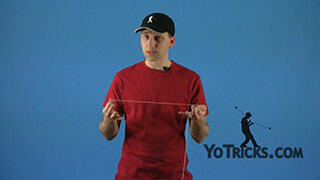 Then we got some outside yoyo consultants to do the same thing. Then we got all the lists together to compare notes so that we could give our recommendations. 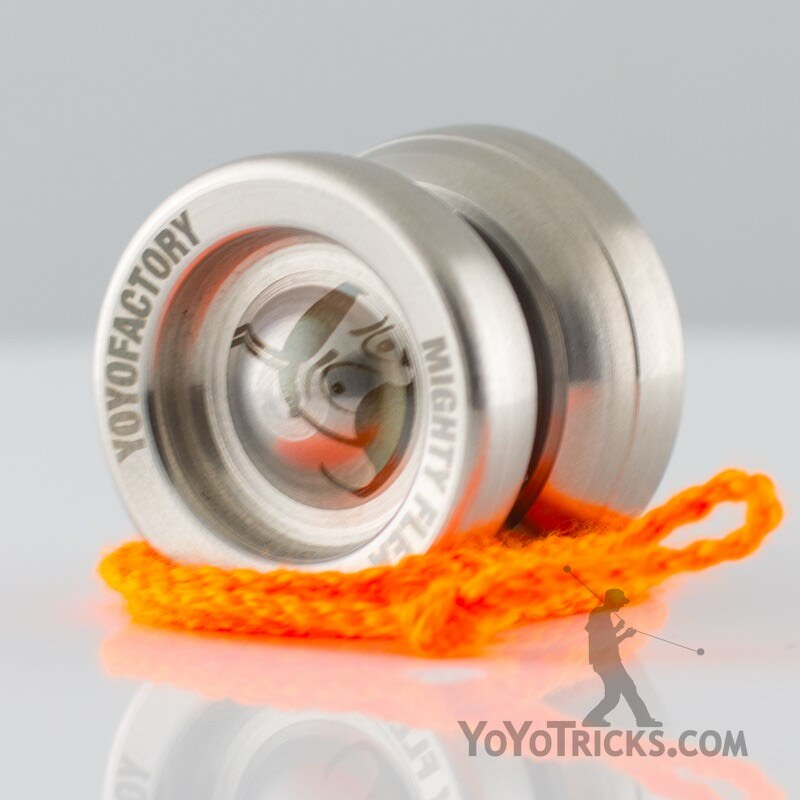 When we did that, it was actually pretty exciting for us, because when we looked at the top recommended yoyo for 1A, all of us had the same yoyo listed and so we feel, yeah, this is really the yoyo you want to get. 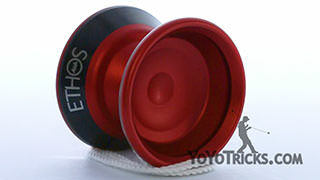 Amazingly, we had the same yoyo listed in 2A, in 3A, and in every style. 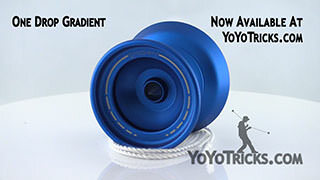 What really caught us off surprise though is that when we looked at how many yoyos we were going to recommend it all came down to just one yoyo – total. 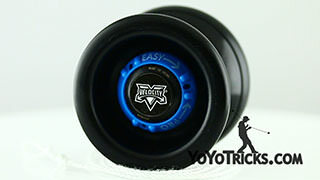 And that was the YoYoFactory Flight. 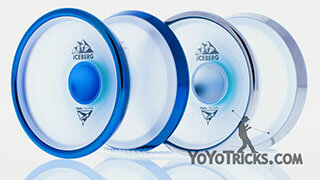 For 1A, the benefits of the flight are obvious. 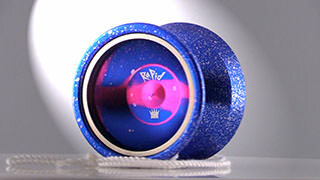 It is extra wide so all of your hops and really extreme combos are much easier to hit, its weight allows it to sleep and extra long time, and the shape of it makes it really good for regens and pretty much anything you want to throw at it, the control you get out of the Flight is just superb. 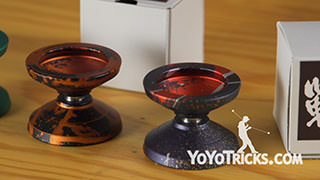 Now, what you might not expect is that it really shines in 2A. 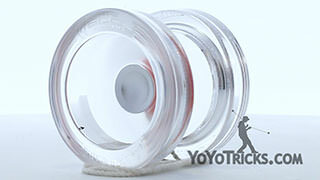 The power of the loops that you can get out of the Flight are just unmatched, and the extra long sleep time translates into some pretty unbelievable wrap combos when you put two Flights together. 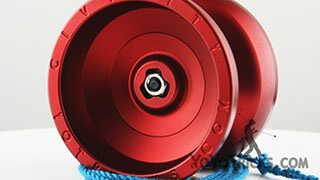 When it comes to 3A, again, you have got that stability, that perfection of movement of the two yoyos going together, and on every single level, everything you could want out of a 3A yoyo – the Flight, it just has it. 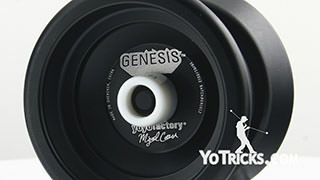 And you know, when it comes to 5A, the weight is just perfectly matched, it almost doesn’t even matter what kind of counterweight you put with this thing it is just incredible and when you are doing your rebounds and all of your different beesting combos, the Flight is just a master yoyo. 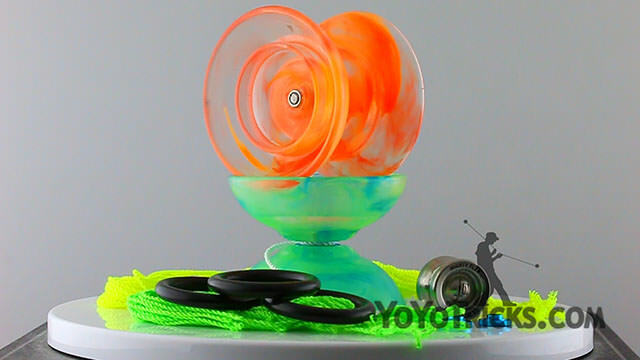 I mean, it does not even matter what kind of yoyoing you are doing, the Flight can handle it, and it can really make you shine, and that’s what you really want out of a yoyo. 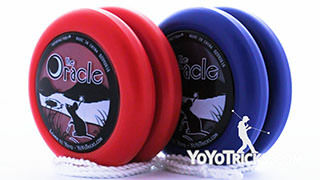 Now I already know what might be thinking – how could we possibly recommend the Flight for all of these styles – when we could be recommending the Mighty Flea? 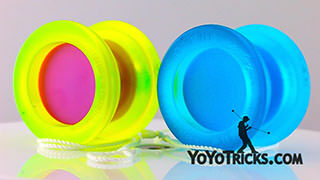 Here’s the thing a lot of people don’t recognize about the mighty flea, of course it is excellent for all the different styles, but the true power of the mighty flea is found when you pair it with the Flight. 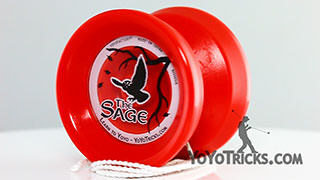 We already showed you how great the flight is for 2A, but when you couple the flight with the mighty flea, just that extra powerful spin that you get makes your wrap combos absolutely unbelievable. 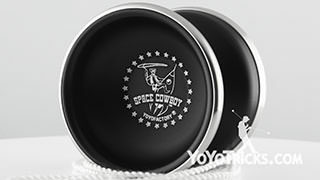 When you’re getting into 3A, conventional wisdom says that you should use two identical yoyos, but the mighty flea and the flight, they’re complimentary. 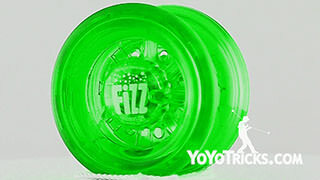 The flight brings the flash, while the mighty flea brings the tech. 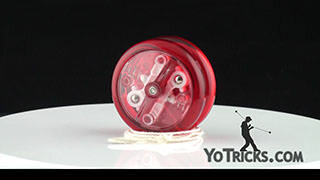 And you have never played with a longer spinning counterweight than the mighty flea. 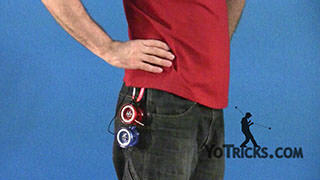 When you pair this for 5A with just about any yoyo, but especially the flight, there are just things that happen, […] that do not happen in any other setup. Now, it is inevitable when you are playing with the flight and the mighty flea that the two of them will collide, and so you may be wondering, is the super durable polycarbonate body of the flight able to withstand the stainless steel power of the mighty flea? So we decided we wanted to test this out. So we got suited up in our hazmat suits and went to our lab, and we brought our baseball bats and crowbars, and gave the flight everything that we had. Ultimately, it did succumb to our fury, but after a significant amount of punishment. 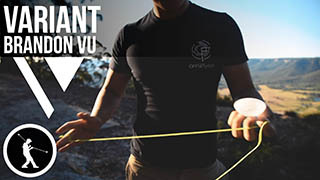 So we feel that within the normal parameters of everyday play, it is going to hold up just fine. 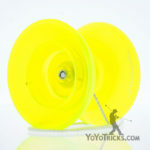 So we are sure that by now you are convinced and you are just wondering what is the best way to get these yoyos? 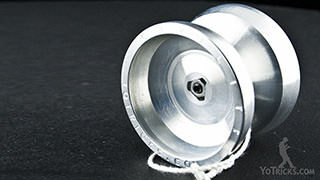 So we have put together the Mighty Flight Power Pack, and that includes two Flight yoyos, a Mighty Flea, strings, weight rings, and of course thin lube, and you can get all of that in one pack, and we also have an optional add-on if you want to add a Titanium Dream to the order, of course. 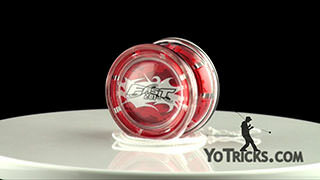 We are sure that you will find these yoyos for all these different styles just as ridiculous-ly good as we have. 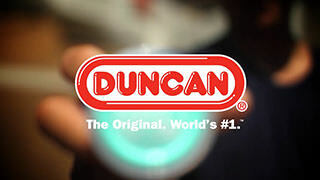 So we hope that you enjoyed all of these tricks and we will see you next time.